This vigorous growing green cycad is native to northern Mozambique and Malawi. It gets to a mature height of about ten feet in many decades with leaves averaging six to eight feet long. In habitat it grows of mountain slopes and in gorges. In our area, this is a fast and easy to grow species. Along the coast it will take half day or full sun. Some sun protection is needed is hot, desert areas. Read below for more information on this species. Locality: This species has a fairly wide distribution in the coastal regions of Kenya, Tanzania, Zanzibar Island (Tanzania) and into northern Mozambique. Its habitat consists of rocky, sandy soil in dry coastal forest and bush. Plant Size: This is a large sized species. Leaves can reach three meters in length. Over many centuries, stems become quite wide and can reach six meters or more! This species can produce basal suckers, but this is not very common. Other Characteristics: This is a large, green leafed cycad which is fast growing. Crowns tend to stay erect, though can become wide with full crowns. Leaflets and petioles are armed with sharp spines, though the leaflets have some flex to them. Thereby making them less pokey than some species. This species is moderately rare among Encephalartos, but is quite rare in cultivation. Female cones are a very pale yellow (almost white), where male cones are yellow. Culture: This species is tolerant of coastal full sun, but look better in partial sun. For inland areas, I recommend this plant for partial sun or shade. In desert areas, this species requires shade. This species prefers a loamy soil which drains well. Landscape Usage: This plant is great for established gardens with canopy, or gardens with shade. This is a fast growing species and requires space. It will make a large showy plant and will enhance the tropical look of any garden in the right application! Availability: We typically can offer quite a few sizes of this species, small to large. We usually have boxed coning sized plants as well. Occasionally we obtain massive larger plants from private collections. 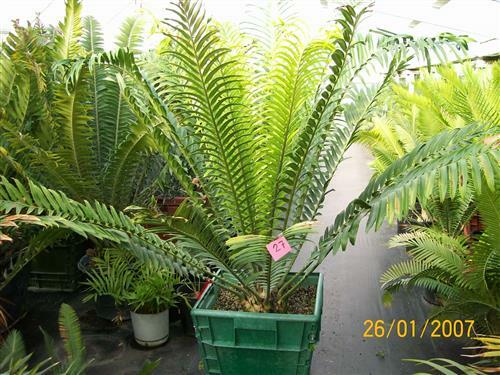 Pricing: Encephalartos hildebrandtii is an affordable green cycad, especially in smaller sizes. Yet, it's rare and sometimes hard to find. We usually have nice 5 gallon to 15 gallon plants and occasionally an assortment of larger plants for sale. Examples of prices are listed below. 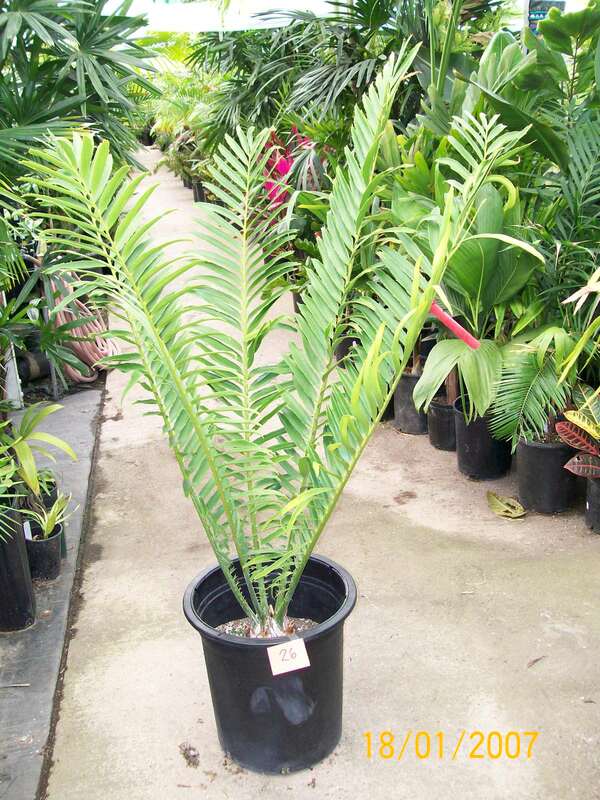 Encephalartos hildebrantii is a rare species to find and yet a reasonably affordable cycad to purchase. We have an excellent selection of this species in all sizes. 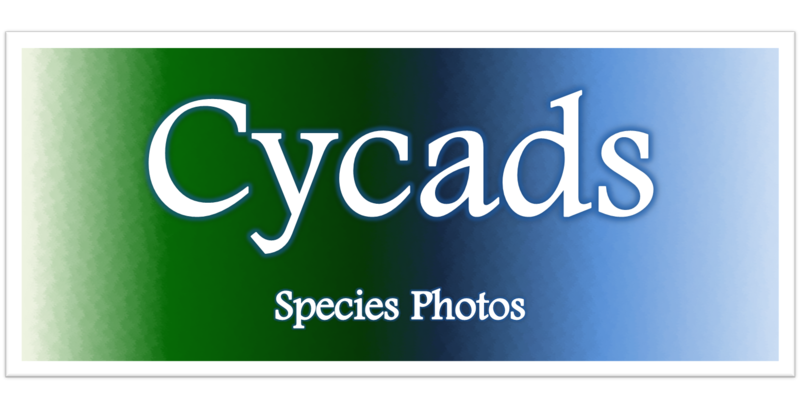 Note: All Cycads are Sold by Caudex Size, Not Container Size. For example, a given pot size could have a smaller or very large plant in the same size pot. This is why there are "+" signs next to prices. But, prices above will give you an estimate of beginning prices of each size.